Learn why brands are merging the physical and digital experience for consumers. For those of you who’re alien to the term “phigital”, it means integrating the physical world with the experience in the digital world. The practice of enhancing offline experiences with the help of online engagement to provide users with a personalized seamless journey. With the coming of newer digital trends and the shift from millennials to Gen Z, the amalgam of the digital and the physical world could turn out to be the most transformative element of your marketing strategy. Challenging the traditional marketing models, marketers use the phigital theory to build integrated marketing campaigns that effortlessly co-exist with the physical and digital worlds. A simple example of a phigital experience could be: Creating a sign, having a particular product, or even highlighting your physical location and asking onlookers to take a selfie with it. Further, encouraging them to post it on social media and tagging your brand using a particular hashtag. Formulating a phigital experience for your target audience could carve out a digital transformation that creates enjoyable, satisfying and real-time interactions with them. Normal car showrooms just got passé. 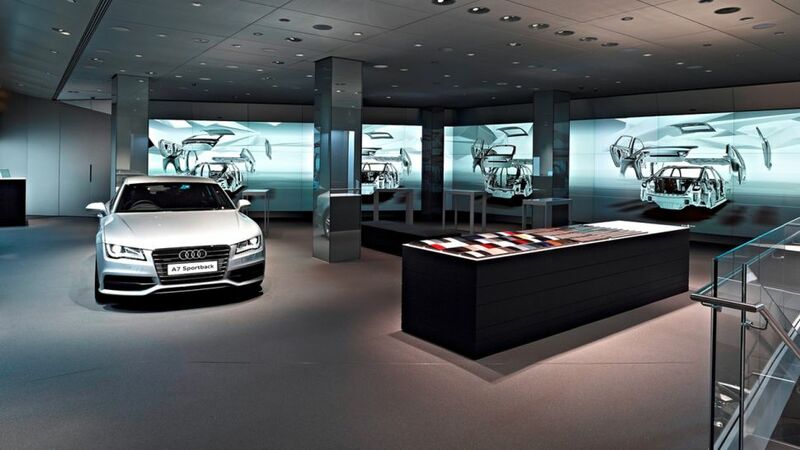 Audi’s showroom in London provides touchscreens and all-round interactivity to its visitors, displaying digital panels with different views of cars for sale and other information available through digital devices in the showroom. Coca-Cola’s phigital initiative called the Coke Freestyle Machine, allowed users to create their own drink mix by using a touchscreen that directs the machine to dispense a mixture of tastes. Coca-Cola ended up leveraging the data collected through those machines to create new products from popular mixtures. The fact that the whole activity was plain fun made it even more appealing to the audience! As a brand, you could also start by integrating social media into your user’s physical experience. When we talk about revolutionizing a digital marketing strategy through the phigital experience, social media plays a major role in it. With Snapchat, Instagram and Facebook using AR marketing to keep users engaged through creative filters, marketers could also look at incorporating augmented reality into their digital marketing strategy. Today’s generation possesses shorter attention spans and works on busier schedules, with a very high chance of getting overwhelmed by the volume of data a brand might have to offer. Using AR technology could provide the users with valuable insights about your brand without risking an information overload. Implementing AR technology could also allow viewers to experience your brand up close and personal. What the phigital theory represents is the opportunity to use the physical space to make more digital interactions with your audience, leading to better and real-time conversations with them. Learn more about merging the physical and digital world to provide a valuable marketing experience for your users, write to us at coffee@sparkeighteen.com or get in touch here.